I finally got around to doing something I've always wanted to do: remake Almalexia in Morroblivion! Kind of hard to notice in the pictures, but she also floats now. I'll be updating this going forward (adding a better crown) and of course getting to Vivec next! 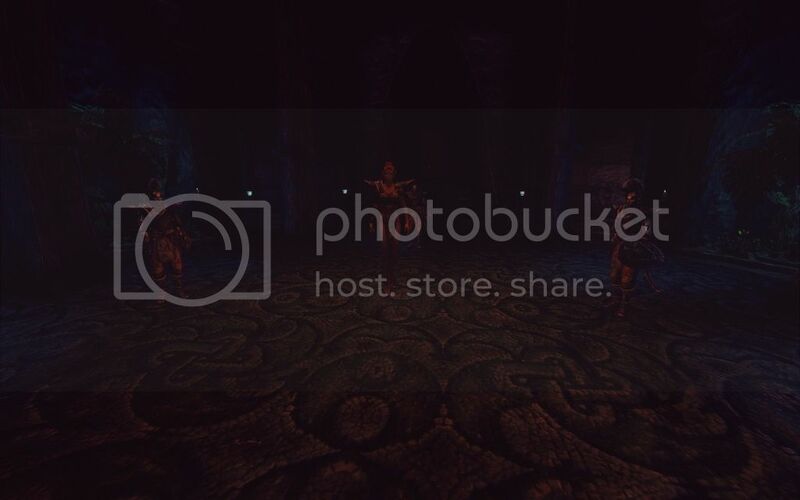 This mod uses a lot of others' resources, so I would like to thank the below creators and of course everyone at TESRenewal for their love of Morrowind and their contributions to making Morroblivion great! 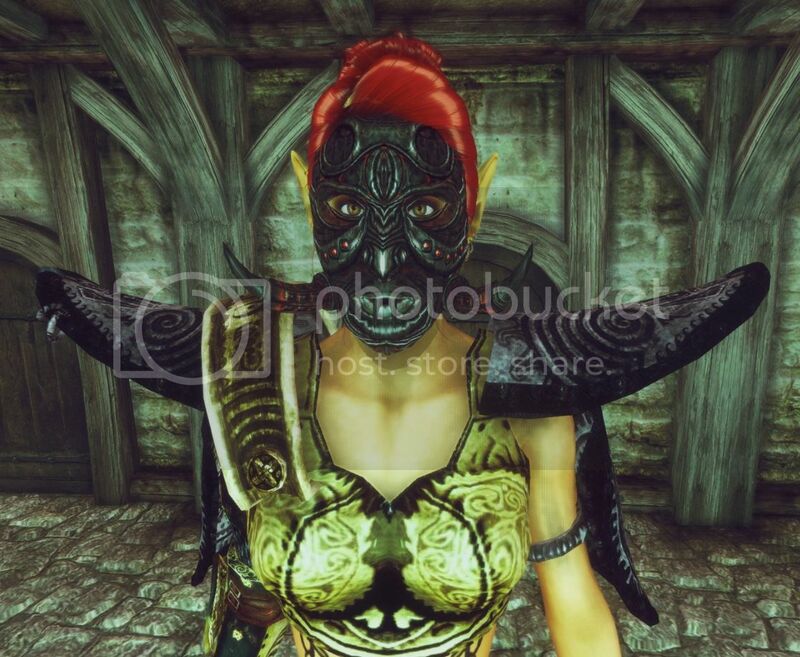 (Almalexia Pauldrons) - Edited mesh from original morroblivion High Ordinator and Ordinator armors. 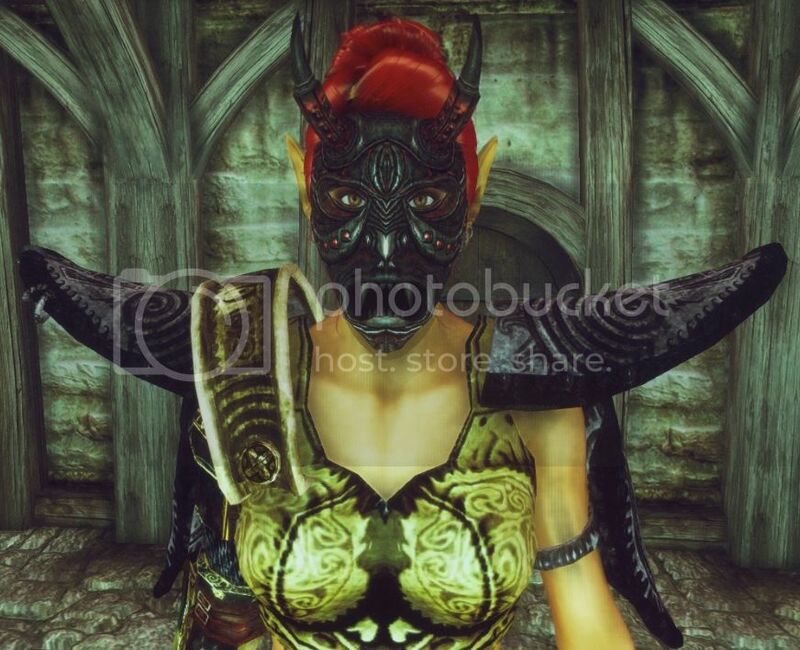 (Almalexia Chest Armor) - Mesh I edited from original Ordinator armor. (Almalexia Underwear) - Robert Female underwear in same mod above. Nice, looks so much better now. (screenshots are a bit dark though, you might want to consider this in the future). 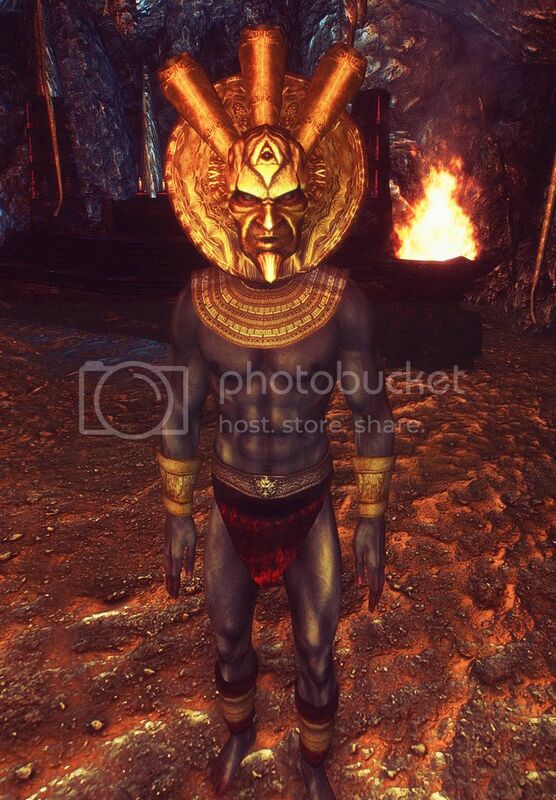 When you start working on Vivec, contact me - I have an unfinished mod for his appearance, I'll send you the files. Sorry for the screenshots. 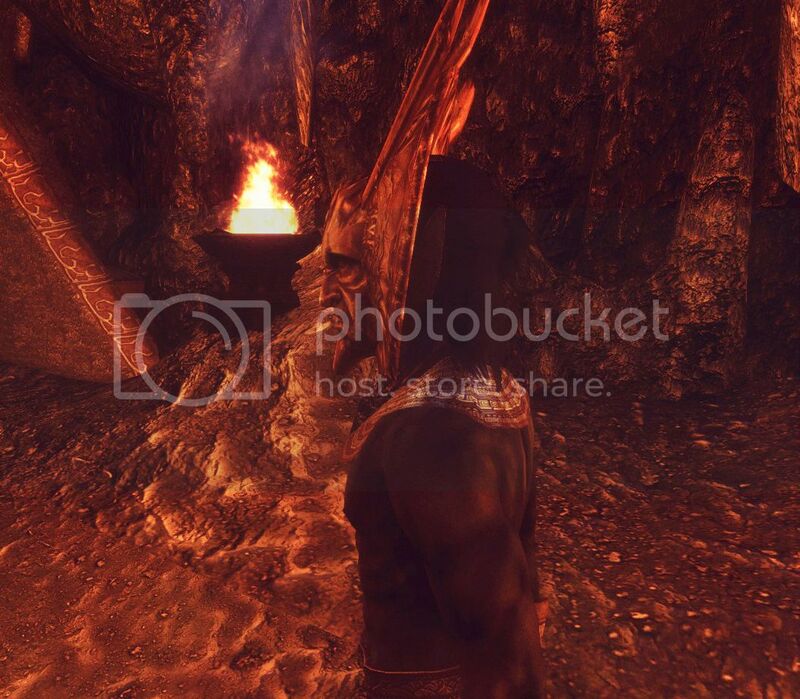 That's my ENB being all dark. I was just in a rush to take screenshots at midnight last night so I could get it uploaded today. Here are some I updated the first post with some I took from NifSkope and the Construction set. 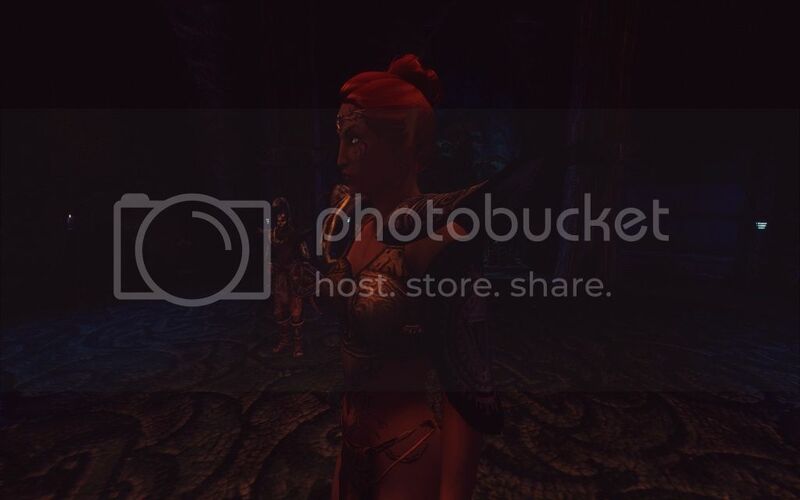 A suggestion: you might want to tweak the position of light sources in Almalexia's chamber, right now it seems that there is a light directly above her, causing ugly lighting on the face. Also, do you plan to do anything with her battle mask? 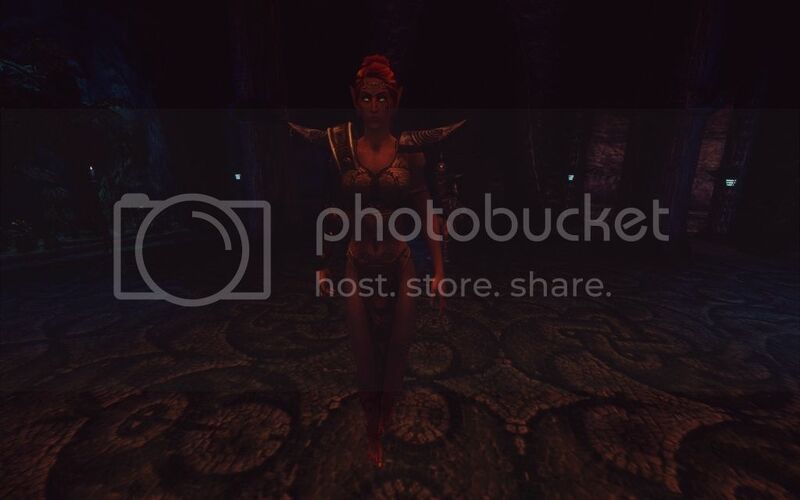 Here are my files for Vivec. It includes partially made armor (with custom body shape), an esp and some bits and pieces. Unfortunately, body textures are missing even though I remember doing them, but can't find now. 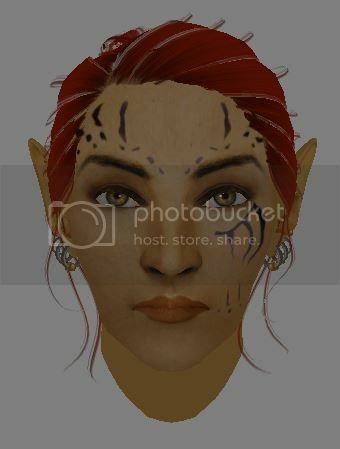 Do not use my head mesh, it's not very good - better to make head mesh/texture based on OCO, like you did with Almalexia. If I find anything else, I'll post here. I do not want to upset you, but I am working on the same. What basis did you take for armor? I will bring it to the end. I appreciate the feedback, I just re-uploaded the file with the texture issue fixed. Hmm unfortunately, I'm not really sure how to fix the issue with the foot accessories. I'd just copy/pasted the branch from them in NifSkope from another resource that I listed in the credits. About the best I can accomplish is changing textures and the hack job of mesh editing I did in blender for the arm, armpit and chest armor parts. Perhaps someone with more expertise than me can help? I'll take another look at it and see what I can do, though. 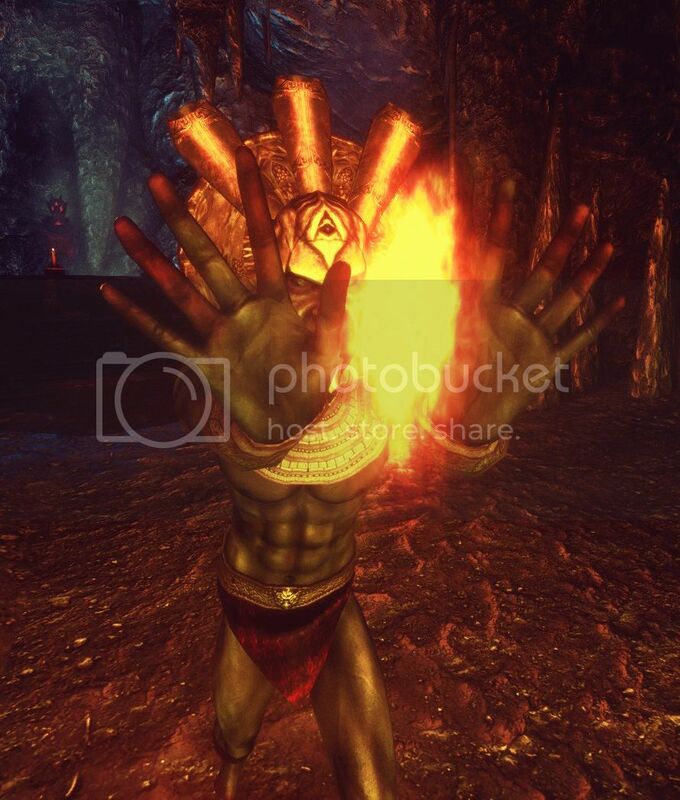 Thank you for the Vivec resources! I'll check them out in a bit and get started. No worries, Prince-Moth. When you finish your work then people will be able to choose whichever version that meets their particular tastes. That's the nice thing about having a few options available. Feet accessories are easy to fix in Blender, I can help you with that tomorrow. If it's easier at all to just tell me how to do it or link me to something, I'd be happy try. I know you have a lot of things you're working on. In Blender, you need to select the object in question, the select the object you want to copy rigging from (body, in this case) while holding Shift. Then click Object->Scripts->Bone Weight Copy, use it with "Update Selected" option (and sometimes "No X Crossing" option as well). Don't know if my explanation is any good, I'm also attaching an updated nif file where I have done this already + done some minor fixes and optimization on the model. However, I can't download the new file you posted (link says there's an error), so the textures are still missing in my game. Thank you very much, I really appreciate the help! I update the link for the download with your corrected mesh included. I tested the link this time and it definitely works, the old one did not like you said. 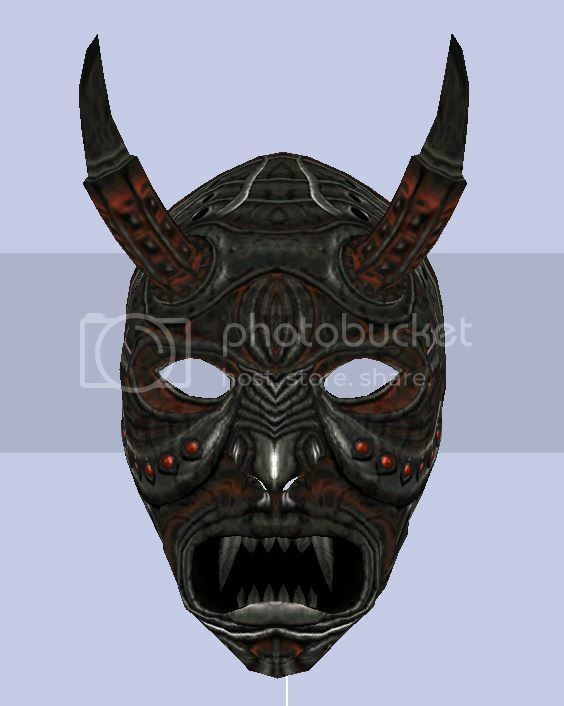 Your meshes for Vivec also saved me hours of work, so I appreciate that too! I think Umpa has a meditation animation I can use in his dance animation mod. I don't think it'll move slightly up and down (giving a bobbing float to the animiation) like the original, but it's better than what I have above. 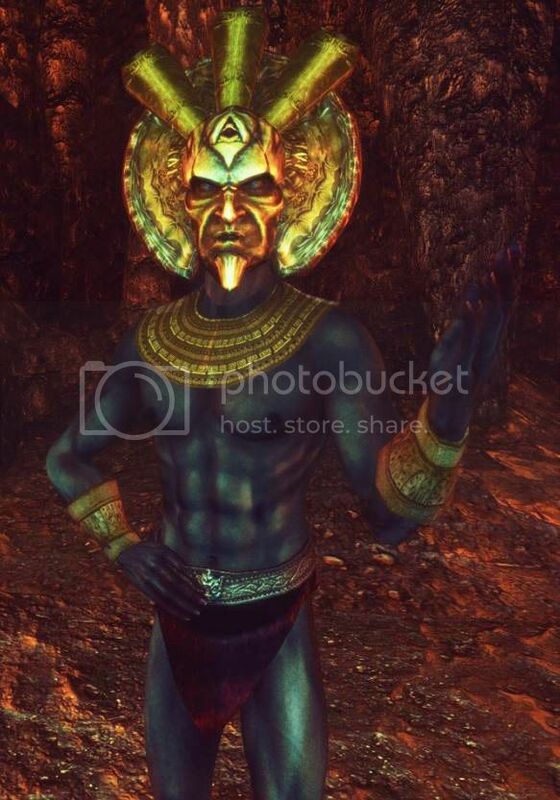 Just wanted to post an update that I'm still working on Vivec, but decided to take a break from him to make Dagoth Ur look more like Vanilla Morrowind. I haven't updated the download to contain any new stuff yet, but wanted to post pictures for suggestions, since it's still a work in progress. He's less muscular now because he's still an elf and he was gangly in Morrowind (I'm probably going to bulk him up a little bit more, though). The picture doesn't really show it well, but he's still tall, about half again as tall as my male Dunmer, like in Morrowind. I made his mask smaller (probably going to make it even smaller and see how it looks), got rid of some remaining horns, adjusted the beard, changed the mouth to be open slightly like his Vanilla mask and also removed the back of the mask so you can see his cute, pointy ears just like in Morrowind. 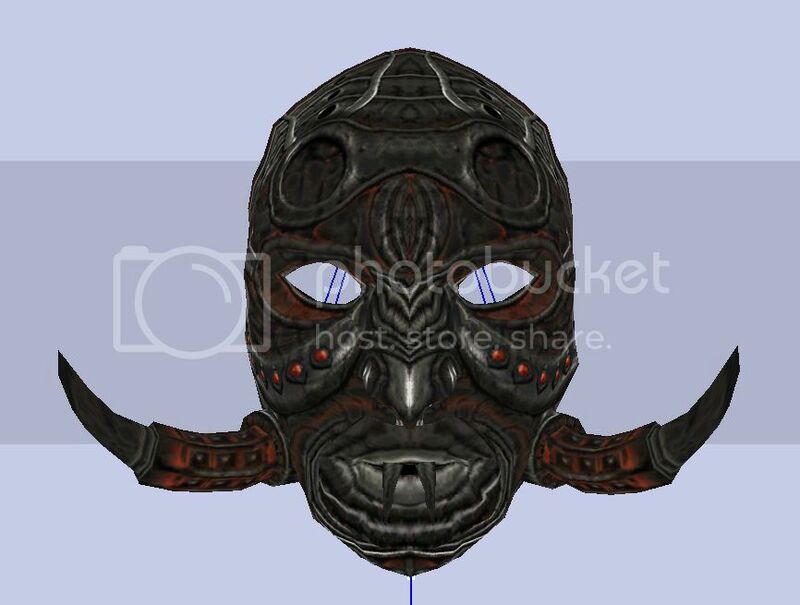 I am encouraged by my ability to edit the mask, so I'll definitely be making Almalexia a better battle mask as part of this project. Also, he's got longer creepy fingers again. And you know what they say about guys who have long fingers... No worries, though. He's got nothing hiding under the loincloth for a family-friendly download. Once I decide between the two, I'll work on editing the texture (probably more green). The second one looks like a giant handlebar mustache :/. Great work on these, by the way! Ha! That's what I thought too and will definitely have to address that with the texturing.